As you may recall, last year, the National Academies of Sciences, Engineering, and Medicine (NASEM) was asked by the Centers for Medicare & Medicaid Services (CMS), the Food and Drug Administration (FDA), and the National Institutes of Health (NIH) to evaluate the many issues and perspectives surrounding ‘the return of individual-specific research results generated in research laboratories’. In recent years, there has been significant discussion among scientists about the return of results to research participants. As geneticists and genomicists discover information of potential clinical benefit to participants, they are considering when it is appropriate to share such information with participants. In keeping with the trend towards greater participant inclusion, the recently launched All of Us program promises to share individual-level data with participants. By signaling greater involvement in the research process and dubbing All of Us participants as ‘partners’, NIH hopes to make participation more valuable and equitable. Given this context, the NASEM committee was charged with evaluating the ethical, social, regulatory, and operational issues associated with returning results to participants. 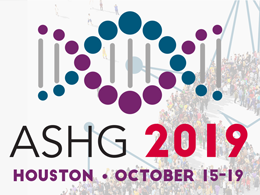 With many members involved in such research, ASHG submitted comments to the committee that focused on the complexity of returning individual-specific results of genomics research, outlining areas of consensus and contention within the genomics community. The NASEM committee’s report, released last month, aligns with ASHG’s comments in some ways as well as revealing meaningful differences of perspective. For example, ASHG recommended that research funding include financial support for returning results to participants to make the task more viable. However, the NASEM report calls for research institutions and funding agencies to “develop and provide access to the resources and infrastructure needed to ensure that investigators conducting testing…can meet the necessary standards for quality”. Overall, NASEM’s report emphasizes addressing the quality of results over the burden to researchers in operationalizing their return. The committee recommends placing greater responsibility on researchers returning individual-specific research results. It also proposes several guiding principles for researchers: chiefly, that the return of results be considered from the inception of the study, through its design and development, and that laboratories that plan to return results adopt high-quality standards. However, the committee acknowledges that the diversity in size, funding, and scale of research laboratories makes CLIA certification, the clinically required regulation for laboratories issuing any test results to individuals, at times inappropriate or unnecessary for returning results not intended to inform clinical care. To address the financial, logistical, and operational hurdles of returning high-quality laboratory analyses with confidence, the committee suggests the creation of an accepted quality management system for research laboratories as an alternative to CLIA certification. The NASEM report also outlines the many scenarios and variables determining whether laboratory quality is sufficient for investigators to return individual research results. In addition, the committee calls for the continued assessment of participant preferences and values, echoing ASHG’s comments. In summary, while the committee’s recommendations may increase the frequency of returning results, and thereby enlarge the demands upon researchers, they are in keeping with the general scientific move towards increasing researcher responsibility for the respect, trust, and needs of research participants. ASHG will continue to monitor the activities of the various agencies to see how and to what extent they will adopt the recommendations set forth by the NASEM committee. Jillian Galloway, MS, is a Science Policy Analyst at ASHG. For more information on ASHG’s policy priorities and activities, visit the Policy & Advocacy website. Currently, people joining the program will have the choice to answer questions about their demographics, overall health, and lifestyle behaviors. Participants will also be asked, but not required, to authorize access to their electronic health record data, which is a significant source of clinical information about a person’s health history. We have established an expanding network of clinic sites around the country where some participants will be invited to give physical measurements and biospecimens for future assays and research. The program plans to begin genotyping and sequencing participant DNA next year. All this data will be stripped of obvious identifiers and made available to researchers, who could range from students and citizen scientists to established investigators. They’ll have to apply to access the information and abide by a data use agreement. Also, participants will be able to access their own data and see how researchers are using it. All of Us is building the data resource now and expects it to be open for research in 2019. The resource should grow quickly as data from electronic health records, genetic analyses, wearables, and other sources are added. The All of Us Research Program recognizes that the information participants are providing is personal and sensitive, and security and privacy are of the highest importance to the program. The program is working hard to establish and maintain a secure infrastructure that supports a participant-focused recruitment and enrollment process. For example, the program has implemented security features that meet rigorous federal standards for protecting and securing data. So what is my role in all of this? As someone who has spent several years exploring human genetic variation as it relates to disease and drug response, I would love to be on the receiving end of all this data! I play an equally exciting part in All of Us as the program director of The Participant Center, which manages overall operations for All of Us’s “direct volunteer” enrollment across the country. The Participant Center has established a phenomenal set of national partners, such as Walgreens, Blue Cross Blue Shield, WebMd, and Fitbit. These partners are helping expand our national reach for clinic sites, developing national and local marketing and outreach strategies, and exploring data collection through various digital health technologies. While my research interests align with All of Us’s scientific vision, I always find myself most attracted to this program for personal reasons. I lost my father to pulmonary fibrosis, helped my mother control her diabetes, and have stayed up many nights trying to alleviate my son’s asthma. Perhaps it’s safe to say that many of us, maybe even all of us, have similar stories. I’m honored to be a part of something that could potentially bring us one step closer to better understanding health and disease at an individual level. Edward Ramos, PhD, is a member of the All of Us Research Program at the National Institutes of Health. He has a PhD in Molecular Biotechnology and was the 2006-2007 ASHG-NHGRI Genetics & Public Policy Fellow.